The most popular and world-renowned television sitcom of the history, "The Big Bang Theory" has never failed to make us laugh like crazy, giving happiest memories that are unforgettable. The highlight of the show, our very own, funny and exceptionally talented theoretical physicist, Sheldon Cooper, is portrayed by the brilliant actor, Jim Parsons. Jim's acting and performance on the show is unbelievably funny and his evergreen charm has gained him a worldwide recognition. Not only this, he has been a true inspiration for all the LGBT community as he's been dating his gorgeous boyfriend, art director, Todd Spiewak. The news sure broke hearts of millions of his ladies fan, but now, he's been entitled as America's Highest Paid Gay actor on TV and that's a huge accomplishment in the industry. Jim is now living happily with boyfriend Todd in LA and the couple is having the best time of their lives. Let's find out more about them in today's section. 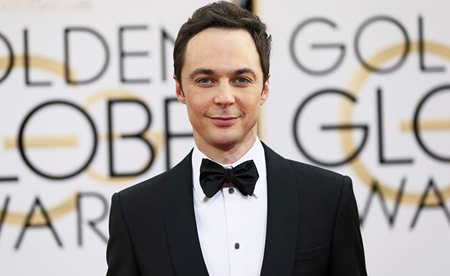 The 4X Primetime Emmy Award winning, the 44-year-old actor, Jim Parsons's personal life was pretty much a mystery as he had not revealed anything about who he is dating or what was his relationship history. After being cast as one of the leads in 2007 premiered show, The Big Bang Theory, Jim got a major a breakthrough in his career and a lot was asked about his personal life, which had remained an untold mystery. However, later in 2012, when The NewYork Times, did a story on Jim Parsons's biography, it was revealed that he was gay and has been in a relationship with the handsome art director, Todd Spiewak since 2002. The news caused a great stir in the media and everyone wanted to know the details about their relationship. During an interview with Ellen DeGeneres on "The Ellen Show," Parsons was asked if he has any plans to get married. He responded quoting that he and Spiewak still have not decided on whether or not marriage was necessary for their long-term relationship. Also, Jim was asked which was the best day of his life by one of the press on Critics Choice Award and his reply would leave us Awwwh! He quoted, "
"The best day of my life was the night I was set up on a blind date with Todd because that's really stuck for 12 years now"
Well, now we know how Jim first met the love of his life, Todd. It was a setup on a blind date and little did he know that this set up would turn out to be the most beautiful moment of his life, the moment where he met his soul mate, Todd. The couple met back in 2002, on November 16 and just last year, this adorable pair celebrated their 14th anniversary together. Jim gushed about his love on Instagram and posted a picture of duo celebrating the special day. Now, the handsome couple, Jim and Todd lives in their $2.8M penthouse at 36 Gramercy Park East. The couple bought this house together in 2014 that is a 665-square foot unit that has the access to a private park. The pair lives happily together in their grand penthouse and does everything together. Jim and Todd celebrating Todd's 40th birthday together. Cheers and happy birthday to you, Todd!!! You were already my favorite person in the whole wide world, but I actually love you even MORE now that we're in the same age-decade! Haha! Happy 40th!!!! Forbes reported Jim Parsons is "The Highest-Paid Television Actor"
The "Television Critics Award" winner, beating the veteran comedians such as Tina Fey, Steve Carell, Alec Baldwin and Neil Patrick Harris, Jim Parsons's net worth has been estimated to be $50million USD as of 2017. The Huffington Post reported that Jim earned $25.5M from June 1, 2015, to June 1, 2016, topping off the charts in the Forbes list. His co-actor, Johnny Galecki, stood at the second position followed by Simon Helberg claiming the third position. In 2014, he negotiated his contract with CBS, and now he receives an amazing $1 million per episode. The two other top stars of the show Penny (Kaley Cuoco) and Leonard (Johnny Galecki) also receive $1 million per episode. All in all, we wish the couple lifetime of happiness and togetherness and wish them good luck in their future endeavors.